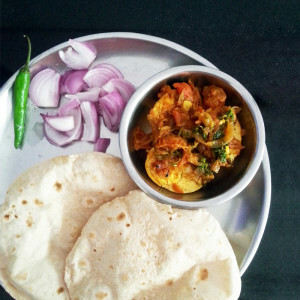 Egg Masala: Boiled eggs coated with spices. Garnish with fresh coriander leaves and serve with hot chapatis. 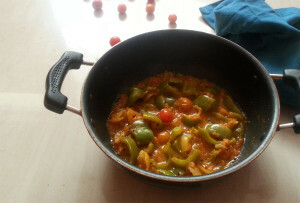 Capsicum cherry tomato curry looks so regal, it’s hard to believe how easy it was to create.